Fishing is a part of human heritage. Before our agrarian skills emerged, we were hunters and gatherers. The history of hunting and fishing dates back to ancient times when humans hunted with sticks and fished using pieces of bone as hooks and lengths of vine as line. Todayís fisherman has far more sophisticated equipment and is generally inspired less by the thought of dinner, but more to relax on the water, reeling in a few fish to pass the time. 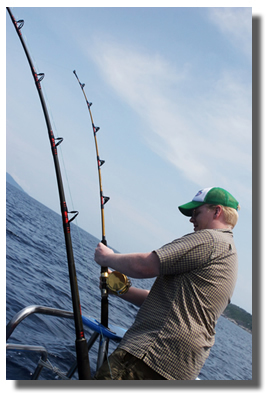 With a little help from your travel consultant, you can be "gone fishing"... in the most amazing waters on the planet. So youíre ready for the relaxation and fellowship of a fishing trip. Your outdoor recreation options range from fly fishing in mountain streams to deep sea fishing to casting your line on a quiet lake in the wilderness. You might be in Alaska or Ireland, the great US Northwest fishing for salmon, off the coast of Mexico, Costa Rica, Chile or the Florida Keys. In practically every body of water, great fishing opportunities exist where professional guides and captains are available to help you find the perfect spot of water. Even if you are an experienced fisher with hundreds of stories to back you up, you may discover many advantages associated with a guided fly fishing trip or a captained charter for deep sea sport fishing. Your travel consultant has resources to locate licensed, reputable guides for whatever type of fishing excursion you desire in any location. Guides and captains know the local waters. They know where the "big ones" are and where they are not. Guides and captains can offer tips and instruction for fishing techniques and skills that are unique to their waters. A guideís primary goal is giving clients the most exciting and accessible fishing experience possible. Most have years of charter and commercial fishing experience and provide far better equipment than amateur anglers will possess. Day in and day out, they are experienced with landing their clients on top of the best fisheries in their waters, and can even assist with catching specific types of game fish. Local guides can read the weather and the water, making your fishing trip a far more exciting and efficient vacation. Also important: guides and charter companies are very familiar with legal restrictions, seasonality or licensing requirements where they work. Failure to observe the proper fish and wildlife regulations of a state or country can result in a very unpleasant experience. Charter companies and guides will often arrange all of the necessary paperwork, if any, in advance. Many captains and guides are associated with local fishing lodges or camps, offering the sport-fisher overnight accommodations, in addition to daily fishing excursions. Fishing lodges also offer traveling companions who do not fish a comfortable place to relax and alternative activities like sightseeing, hiking or wildlife viewing. Lodges may also provide fly-in service to more remote fishing locations. The intimate setting of most lodges also allows for the opportunity to meet other sports-minded travelers and develop new friendships in a common setting. If your guide is not directly associated with fishing accommodations, it is a sure bet that they can recommend local lodging for your use, or your travel consultant can locate the perfect place for your vacation. Multi-day fishing adventures you to enjoy some of the best fishing in the world. Itineraries are typically flexible enough for every temperament. In some instances, charter companies and guides offer tournament packages, creating a competitive environment for a team or individual anglers. A tournament is a high-adrenaline activity that includes expert coaching and the best possible equipment. Planning well in advance is very important when considering a fishing trip. Most trips are planned around either a destination the angler wishes to visit, or a particular fishing style, such as deep sea or trout fishing. Many fishing trips are even planned according to the time of year, as experienced fishers know that in some bodies of water, the fish bite more than other times. Early planning is particularly important since the best dates in peak fishing season tend to fill up fast and the best guides and captains may be booked solid. Your travel consultant will work to find a charter operator or guide that can accommodate both the season and destination you want to visit. There are also excellent "Learn to Fish" opportunties. Many equipment and gear companies, as well as local guides and charter companies will take complete novices and teach the skills necessary to become an accomplished angler. Whether fly-fishing is your sport of choice, or if you have decided that you would like to give deepsea fishing a try, you will almost certainly find either formal training or expert coaching from willing guides and charter companies. If fishing from a raft or a boat is a part of your trip, the type and size of the vessel used by your guide or charter company is a very important consideration. Boat balance and design play a big role, not only regarding comfort, but also for fishing performance. Your charter company should be able to describe their vessels and offer a solid rationale for why the type of boat used is adequate for the experience. In some instances, larger boats offer air conditioning and private bathroom facilities. In others, the boat is purely a method of transportation. 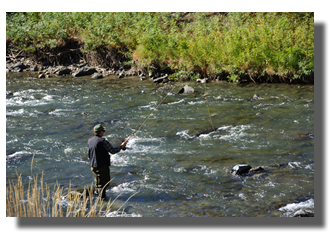 In either event, ample room for all to fish, relax and fish some more is an absolute. If you are traveling with a group, make sure everyone agrees on the daily pace of the fishing excursions and opportunities, or that the charter company offers alternative activities for those wishing to opt out or cut short their days of fishing. If traveling with only one or two people, you may find yourself paired with another fishing party. 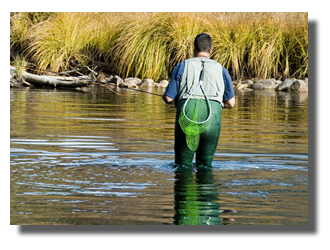 Ask your tour operator about their clientele and the others who will be fishing with you to ensure your compatibility. Fishing as a family can be a real memory-making experience for children. The close, outdoor activity and skill-building associated with fishing comprise many of our own childhood experiences. If traveling with children, ask about age limits the tour operator may impose, and design a trip that allows the younger members of your party with a more limited attention span to drift to other activities. Combined with a lodge stay or a fishing camp, children could remember this trip for the rest of their lives. No doubt your charter company will provide a list of recommended gear to pack, rent, or buy. Many fishers like to bring their own gear, so this is something you should determine early. For inshore flats or bay fishing, the guide usually lets you bring your own gear, fly rod, light tackle or other equipment. Big offshore boats, however, usually prefer to supply all the rods and reels, tackle, bait and other gear. Boat rules vary, so inquire early in your planning stages about what you can bring with you. For deep sea fishing, excitement is plentiful, and the list of species you may encounter sounds like an other-worldly menagerie: bonita, yellow-fin, amberjack, roosterfish, barracuda, wahoo, dorado, snook, snapper, longjaw, bobo, palomito, jewfish, machaca, roncador, mojarra, tepemachin, tigerfish and so on. 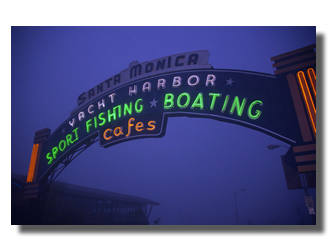 However, weather and sea conditions can have a real impact on your trip. Itís a good idea to eat a good meal and get plenty of rest the night before your excursion. Hangovers, direct sun heat, and/or semi-rough seas can make for a very long day. Similar to other types of fishing, you should bring your food, sunscreen, hand towels and comfortable deck shoes. If you have never been deep sea fishing before, it is a good idea not to touch or handle a fish that you are not familiar with and let the boatís experienced mates assist you with landing the catch. An option you might want to consider in deep sea fishing is a "shared" trip. Shares are designed for anglers who donít have the inclination to book a private charter and would like to go fishing without paying several hundred dollars. The advantage, of course, is lower cost, but there are disadvantages as well. Share trips generally do not go unless the boat is able to get a stated minimum number of passengers. So, if you are on a tight schedule, there is a possibility the trip might not happen at all. Itís also difficult to go on the specific boat you want, because private charters tend to take priority. When fishing is slow, there are times when only one or two lines are hooked up. With rotational watches on the rods, it may mean you wonít get to fight the giant Marlin, for example, or other huge fish that strike the lures, and you may feel left out if this happens. Lastly, personalities at sea tend to differ greatly. Some people may become ill and want to go home just as the fish start biting, creating a tension on board between those who want to stay out and those who want to go home. Food and beverage, both on and off the water, is another key consideration. Find out what types of food and preparation are available to you and your companions during your trip. Most charter companies can accommodate special needs and requests if made early enough in the planning process. Charter guides offer not only instruction in catching the fish, but also what to do with your catch. Often, the crew will unload the catch and clean your fish. Some operators will arrange to have your trophy catch mounted and shipped. Itís likely the captain/crew will have a readily available price list and any necessary paperwork to have mounting done. Some charters will also fillet portions of the catch to take home for dinner. So does your guide guarantee fish? Sorry, Charlie. That’s why they call it fishing and not "catching fish." Some days the fish just donít want to bite. And operators canít guarantee success, but by carefully selecting your guide, you give yourself the best chance of not letting the big one get away.